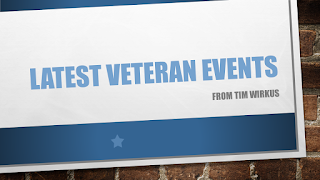 If your group has an event benefiting veterans, or you hear of an event, please share with me so I can share with the veteran community. I would rather get an event 3 times than not at all! Please make sure any flyer lists address of event and a contact person! "Weekly Detroit RUCK" Every Sunday Team Red/White/Blue, and 22 Until None, are hosting a RUCK starting at 10AM at Bobcat Bonnie's, 1800 Michigan, Detroit. Ends back at Bobcat Bonnie's around noon, about 4 to 6 mile RUCK. Bring any weight or none! For more info email Mike at Team RWB. "The Wall That Heals" The Wall that Heals, an exact replica of the Wall in Washington, DC, from the Vietnam Veterans Memorial, is coming to Howell at the Livingston County Spencer Hardy Airport August 23rd thru 26th. This event is hosted by DAV chapter 125. Help is needed with set-up, Honor Guard, teardown. If you can be of help call Anne Marie at 313-898-1086 or goto their website. For a lot more info see flyer, or their Facebook Page. "Free YMCA Camps for Military Families" YMCA Camps Nissokone & Ohiyesa are proud to offer scholarships to Overnight Camp for children from Military families. It's our way of giving back to those who dedicate themselves to serving our country. Scholarship Eligibility: Families with Military Service Members (Active, Reserve or Veteran) are eligible for this scholarship, which is granted for one Overnight Camp session per year per child at Camp Ohiyesa or Camp Nissokone. Proof of Income (less than $5,000 monthly) is required for application. An offer of assistance is made to all eligible applicants; 'average' award is 50%. Call them at 248-887-4533. To apply fill out application. "Thursday, April 12, 2018 (NEW)" The Desert Angel's are hosting another in their ongoing Packing Parties for the troops serving overseas, today at the Oakland Sportsman's Club, 4770 Waterford Rd, Clarkston, from 4 till 6PM. Our TROOPS are in need of the following items: VALENTINE COOKIES, COFFEE, HOT CHOCOLATE, GIRL SCOUT COOKIES, letters of encouragement. EVERYTHING from wipes, to food products, to snacks like dried fruits, nuts, meats, tuna etc. gum, candy.. even chocolate!! New socks and more socks, toiletries, so many items they do NOT have excess to. This is an opportunity to serve our TROOPS as they serve our country. YOU can make a difference! "Thursday, April 12, 2018 " The 19th District Court in Dearborn is kicking off its new Vet Treatment Court with a ceremony at the U of M - Dearborn campus, 19000 Hubbard Dr, Dearborn, in the Michigan eroom, from 11 till 1:30PM. Learn what these courts are all about. Go to Eventbright to RSVP. See flyer for more info. Also: Vet courts work with mentors and they will need some here. If interested is learning more click their info site. "Thursday, April 12, 2018 " The Grosse Pointe War Memorial, 32 Lake Shore Rd, Grosse Pointe Farms, is having Major Mary Jennings (Iraq Vet with Distinguished Flying Cross, Purple Heart, etc) with her book, Shoot Like a Girl, starting with a VIP reception at 6:30, and main event at 8PM, book signing, etc. $60 for VIP event, $35 for general admission. See flyer for more info or call (313) 881-7511. "Friday, April 13, 2018 " Berkley DAV Chapter 19 is hosting a Comedy Castle Respected Entertainers comedy night at their location, 2717 Coolidge, Berkley, with doors opening at 6:30PM. Beer, wine, and food will be served. Cost is $25 per person. For more info call 248-824-9663 or see flyer. "Friday, April 13, 2018 " The 112th annual Shrine Circus is coming to The Suburban Collection, Novi, and Friday the 13th is Veterans Day with general admission seats only $7.50 each for the 10AM & 2PM shows. To order tickets call 248-569-2900, Ext 3, or visit their website, using code "veterans2018." See flyer for more info. "Saturday, April 14, 2018" The Royal Oak Legion Riders, from post 253, is hosting an Euchre Tournament starting at 7PM, doors open at 6, at their hall at 1505 N Main, Royal Oak. $10 entry fee. For more info see flyer. "Saturdays, April 14 & 21, 2018 (NEW)" UAW Local 5960 & the VFW are presenting a benefits seminar and classes on how the VA claims process works. Will be held at UAW Local 5960, 180 E Silverbell Rd, Lake Orion, 9AM till 3:30PM each Saturday. For more info call Al at 248-377-5555. If you wish to attend fill out the important form and bring with you along with $10 to cover training materials. "Saturday, April 14, 2018" The Yankee Air Museum, Willow Run Airport, is hosting a Blast That Builds, presented by the Belleville Yacht Club, starting at 5:30PM. A stylish evening of entertainment and splendor. See flyer for more info. "Saturday, April 14, 2018" VFW Post 7573 -COVE 35011 23 Mile Rd. New Baltimore, Phone 586-725-7100, is hosting an FW POST 7573-FRONT HALL PARTY LAS VEGAS / USO SHOW. $40.00 PER PERSON INCLUDES: CATERED DINNER, OPEN BAR, SHOW WITH 4 DIFFERENT PERFORMERS AND ALSO ROLAND THE MAGICIAN !!! THIS WILL BE AN AWESOME PARTY! !1 GET YOUR TICKETS EARLY. 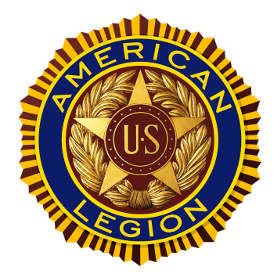 "Sunday, April 15, 2018" Berkley American Legion is hosting a Breakfast fundraiser On the third Sunday of the month At the Berkley American Legion Post 372 at 2079 W 12 mile rd. between Woodward and Coolidge 248-542-7668 Doors open at 8:30 am with food service 9am - 12 noon. "Tuesday, April 12, 2018 (NEW)" The Desert Angel's are hosting another in their ongoing Packing Parties for the troops serving overseas, today at the Myers Elementary School, 6085 Sun Valley Dr, Grand Blanc, from 4 till 6PM. Our TROOPS are in need of the following items: VALENTINE COOKIES, COFFEE, HOT CHOCOLATE, GIRL SCOUT COOKIES, letters of encouragement. EVERYTHING from wipes, to food products, to snacks like dried fruits, nuts, meats, tuna etc. gum, candy.. even chocolate!! New socks and more socks, toiletries, so many items they do NOT have excess to. This is an opportunity to serve our TROOPS as they serve our country. YOU can make a difference! "Friday, April 20, 2018" The American Indian Veterans of Michigan is holding a Karaoke Night from 7 till 11PM at their headquarters, 26641 Lawrence, Center Line, with JP the DJ. Admission is $5. For purchase will be fry bread, soft drinks, coffee. For more info see flyer. "Friday, April 20, 2018 " Troy VFW Post 4037 is hosting a Comedy Castle Respected Entertainers comedy night at their location, 2375 E Maple, Troy, with doors opening at 6:30PM. Beer, wine, and food will be served. Cost is $25 per person. For more info call 248-689-7289 or see flyer. "Friday, April 20, 2018 (NEW)" American Legion Post 172 & Operation Yellow Ribbon are presenting "Food & Flicks" at their post located at 234 Walnut Blvd, Rochester. Doors open at 6PM, 6:30 pizza & beverages, &PM movie, The Pirates of the Caribbean. For more info and tickets call Peggy at 248-425-2722 or see flyer. 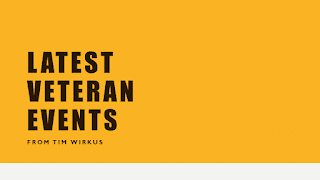 "Friday, April 20, 2018 " The Student Veteran Association, (SVA) at Lawrence Technological University, is hosting their annual fundraiser to support their veterans in school. Takes place at Farmington Hills Manor, 23666 Orchard Lake Road, Farmington Hills, starting at 7PM till midnight. Cost is $50 per person, $90 for two. For tickets goto their website. More info by calling Matt at 248-249-3427 or see flyer. "Saturday, April 21, 2018 " Berkley Legion Post 374, 2079 W 12 Mile, Berkley, is hosting its first annual Honor Guard chicken & Pork Roast dinner. Donation of $20. From 5 till 8PM. For more info call 248-542-7668 or see flyer. "Wednesday, April 25, 2018 (NEW)" The Desert Angel's are hosting another in their ongoing Packing Parties for the troops serving overseas, today at the Prefix Corporation, 1300 W Hamlin Rd, Rochester Hills, from 4 till 6PM. Our TROOPS are in need of the following items: VALENTINE COOKIES, COFFEE, HOT CHOCOLATE, GIRL SCOUT COOKIES, letters of encouragement. EVERYTHING from wipes, to food products, to snacks like dried fruits, nuts, meats, tuna etc. gum, candy.. even chocolate!! New socks and more socks, toiletries, so many items they do NOT have excess to. This is an opportunity to serve our TROOPS as they serve our country. YOU can make a difference! "Wednesday, April 25, 2018 " VetBizCentral is hosting Boots to Business Reboot in Livonia area. Veterans, service members and spouses are urged to take advantage of this entrepreneurial training program offered by the U.S. Small Business Administration. Veterans have the character, discipline and skills needed to succeed as small business owners and entrepreneurs. Boots to Business Reboot gives you the tools to get started by offering participants valuable business skills and tips. The course is taught by industry experts, top professors and officials from the U.S. Small Business Administration. For more information, please contact: VetBizCentral at 810-767-8387. To register goto official site. See flyer. "Friday, April 27, 2018 (NEW)" The Desert Angel's are hosting another in their ongoing Packing Parties for the troops serving overseas, today at the Detroit Country Day Middle School, 22400 Hillview Lane, Beverly Hills, from 4 till 6PM. Our TROOPS are in need of the following items: VALENTINE COOKIES, COFFEE, HOT CHOCOLATE, GIRL SCOUT COOKIES, letters of encouragement. EVERYTHING from wipes, to food products, to snacks like dried fruits, nuts, meats, tuna etc. gum, candy.. even chocolate!! New socks and more socks, toiletries, so many items they do NOT have excess to. This is an opportunity to serve our TROOPS as they serve our country. YOU can make a difference! "Friday, April 27, 2018 " The University of Michigan, Dearborn will be celebrating the graduation of veteran and military-affiliated students by holding a Veterans Commencement Social on Friday, April 27th from 2:00--4:00 PM. The event will take place at the UofM-Dearborn Fairlane Center North, Quad-E (19000 Hubbard Drive, Dearborn MI 48126). See the Eventbrite RSVP for the flyer and information, including driving instructions. Parking is free! to veterans suffering from eight deadly diseases connected to water contamination at Camp Lejeune, N.C.
now suffering from illnesses linked to contamination cannot be left to confront these diseases as if they were not in any way connected to their time on base. We are here to see this does not happen."